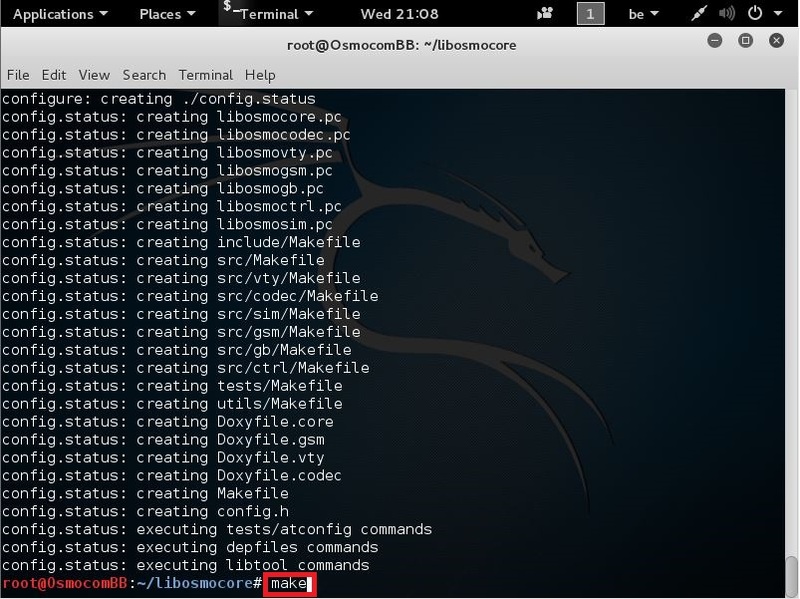 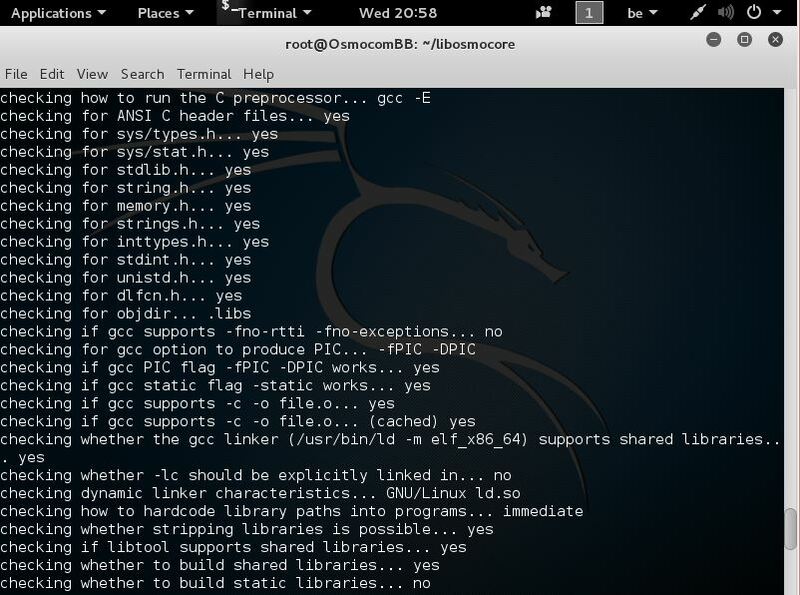 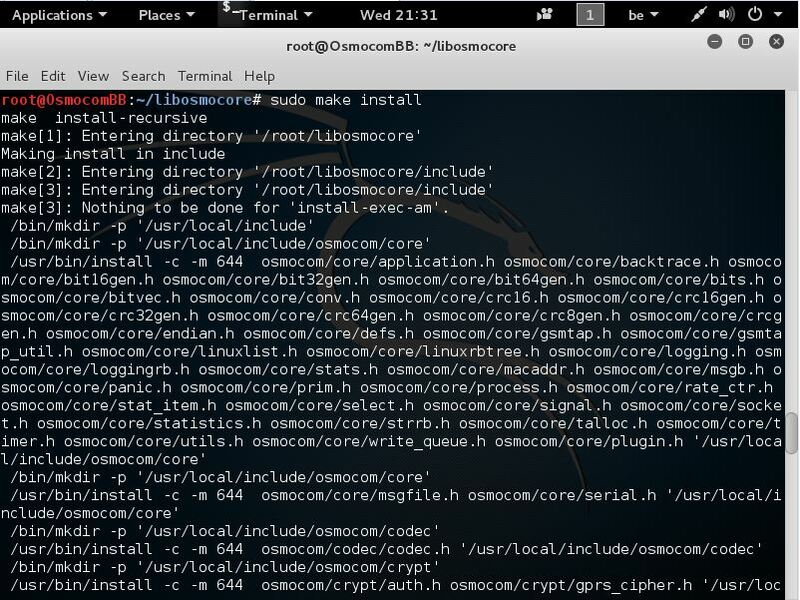 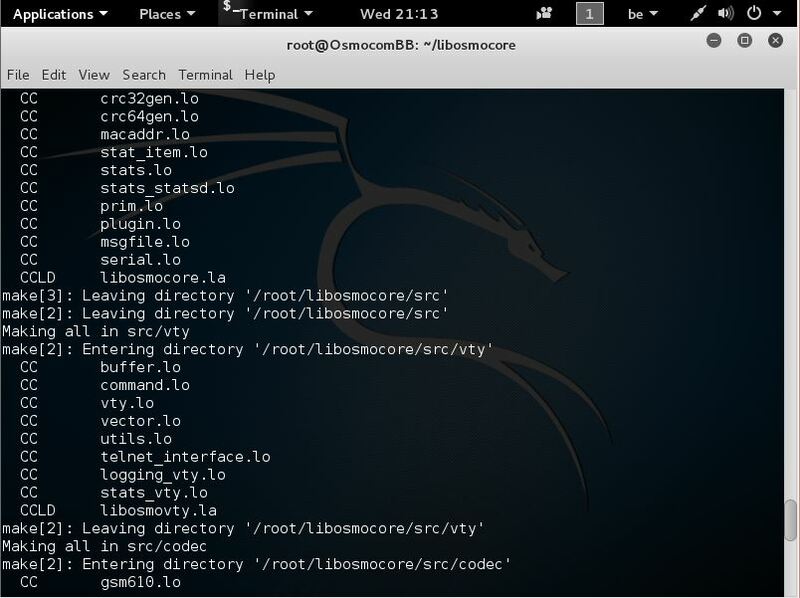 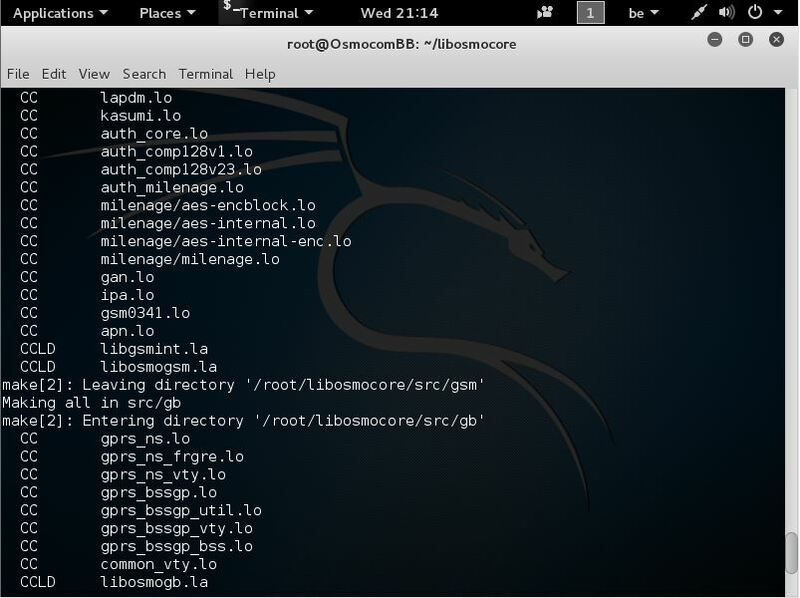 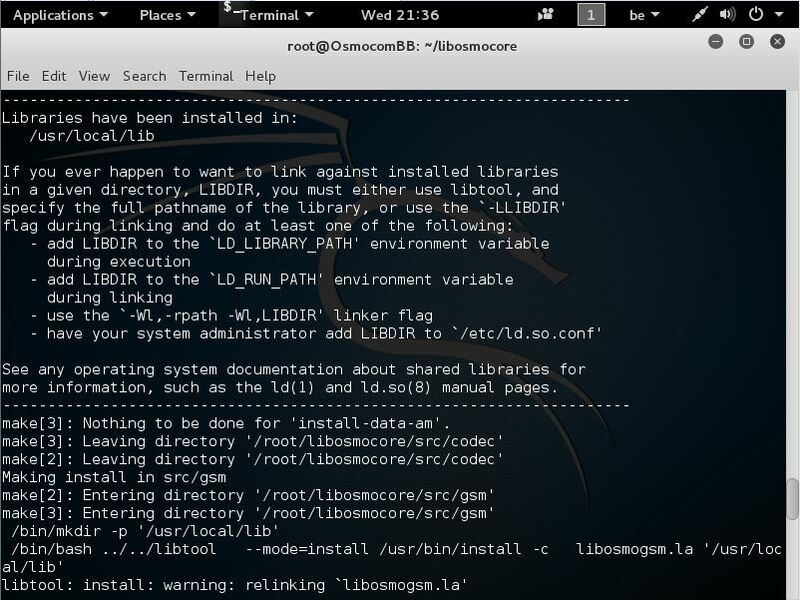 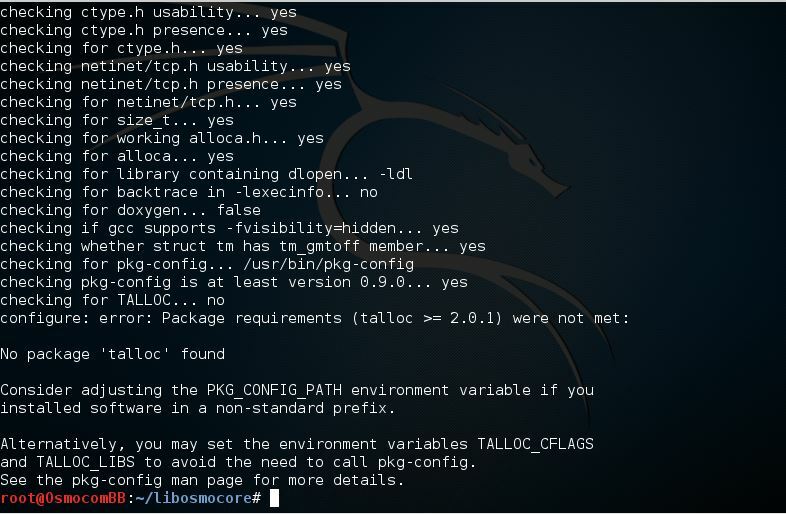 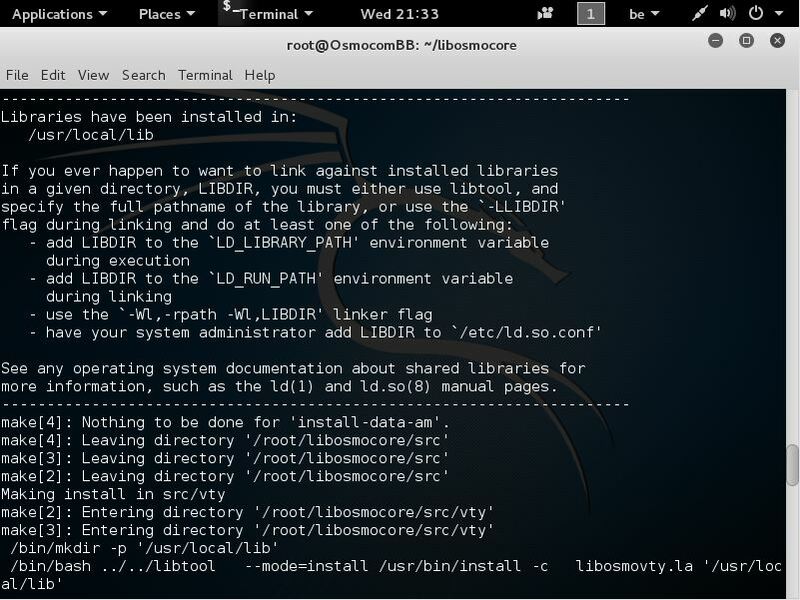 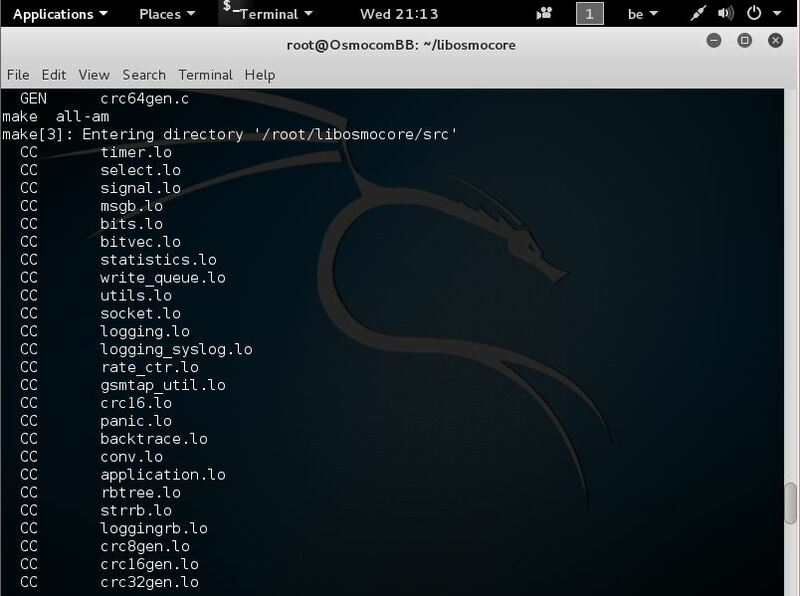 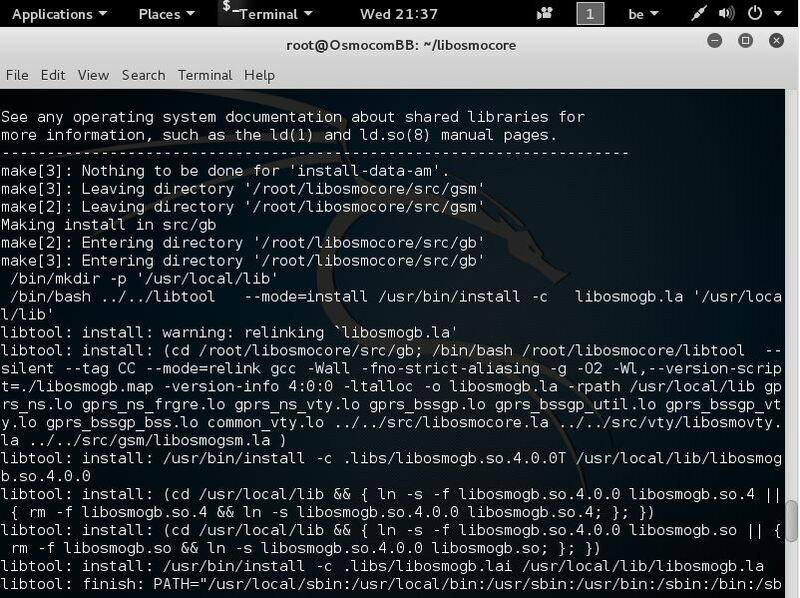 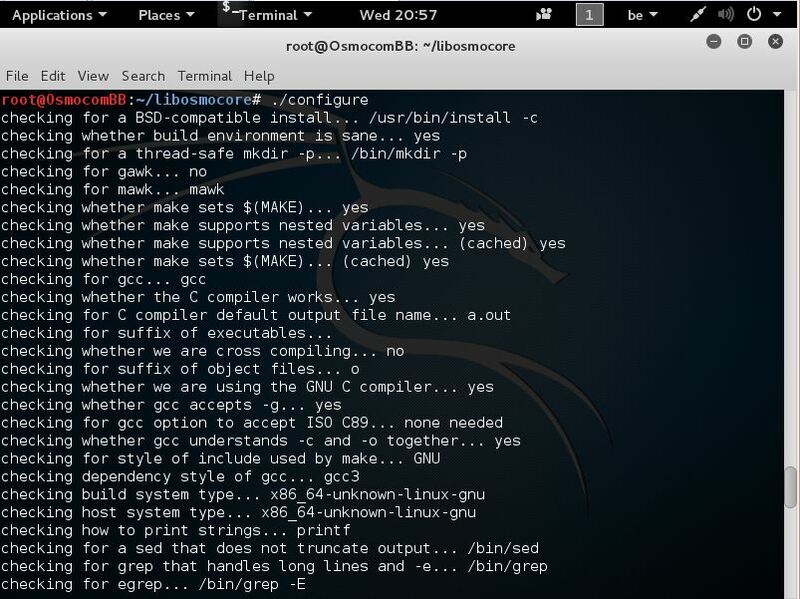 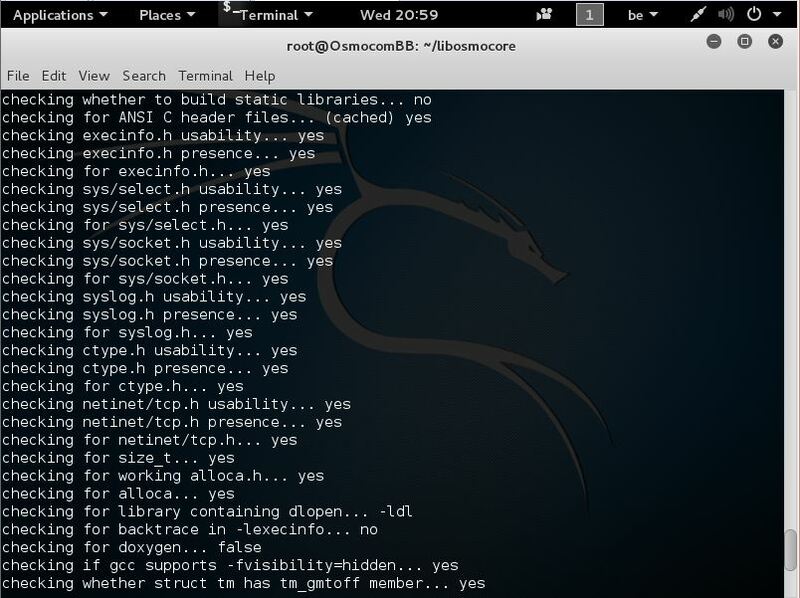 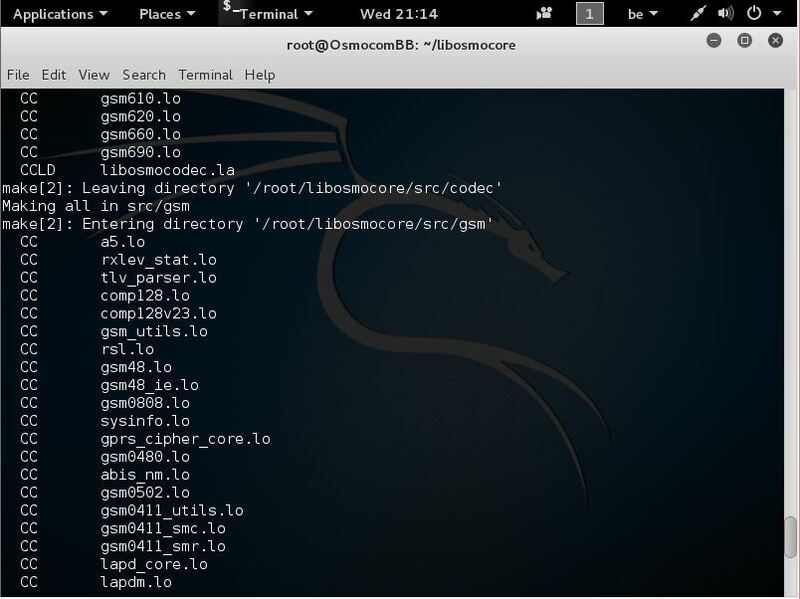 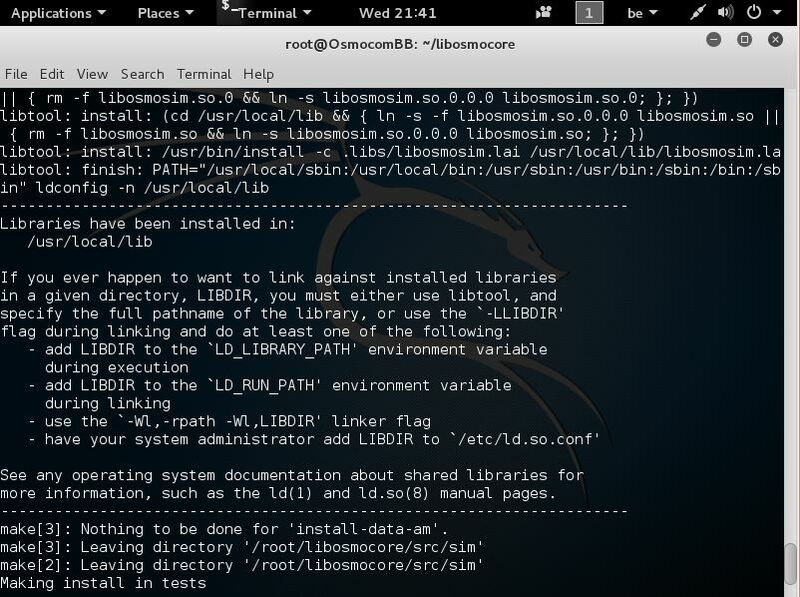 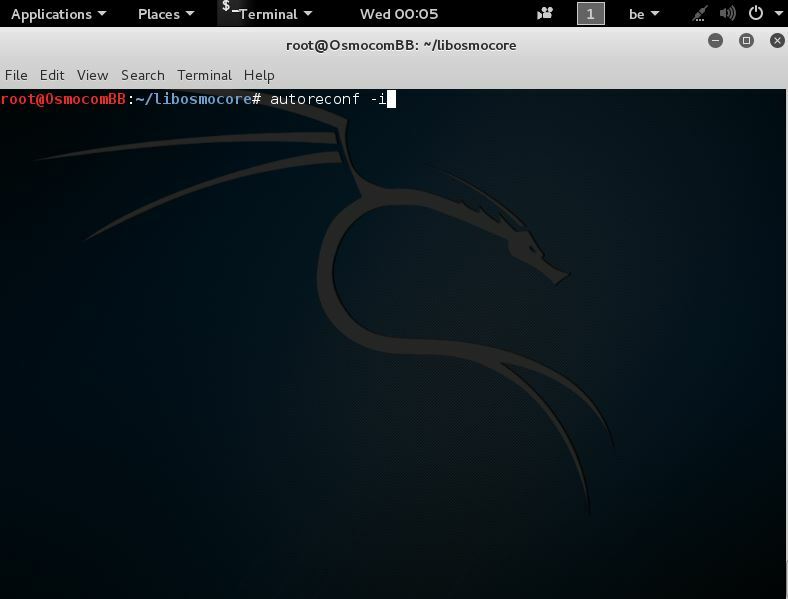 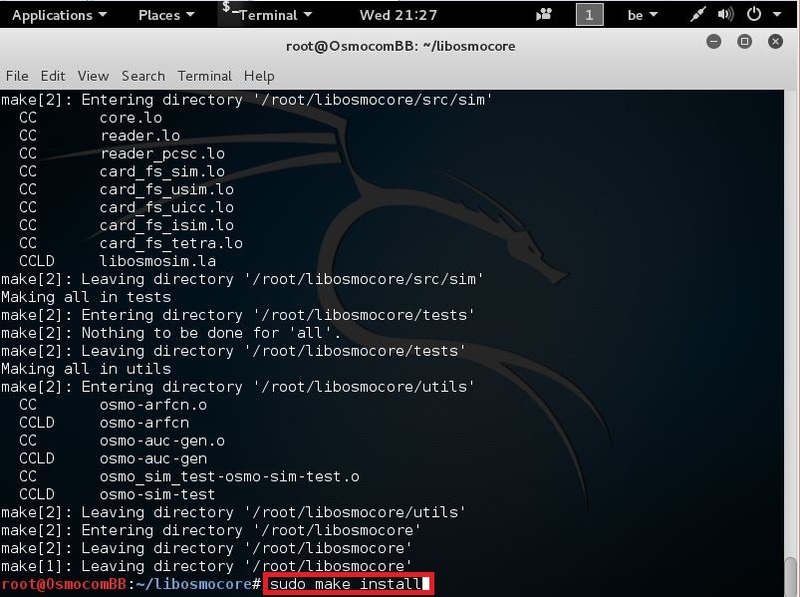 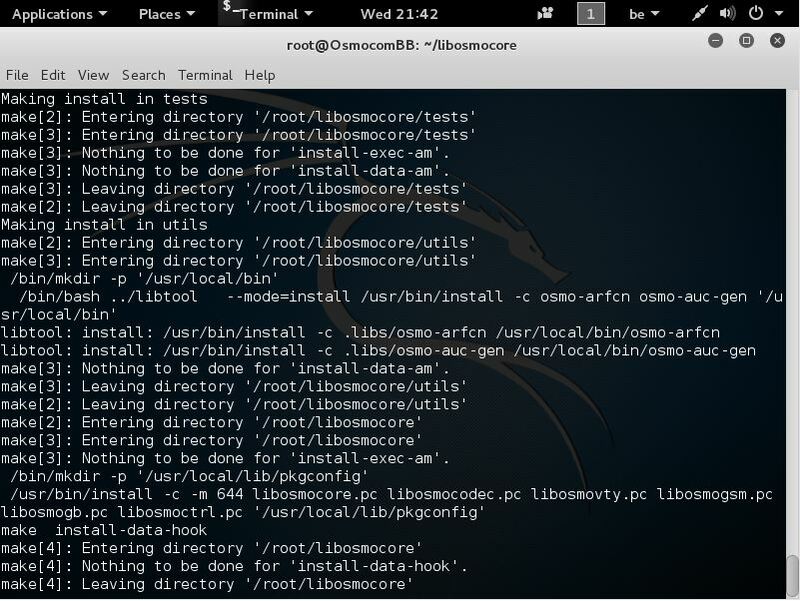 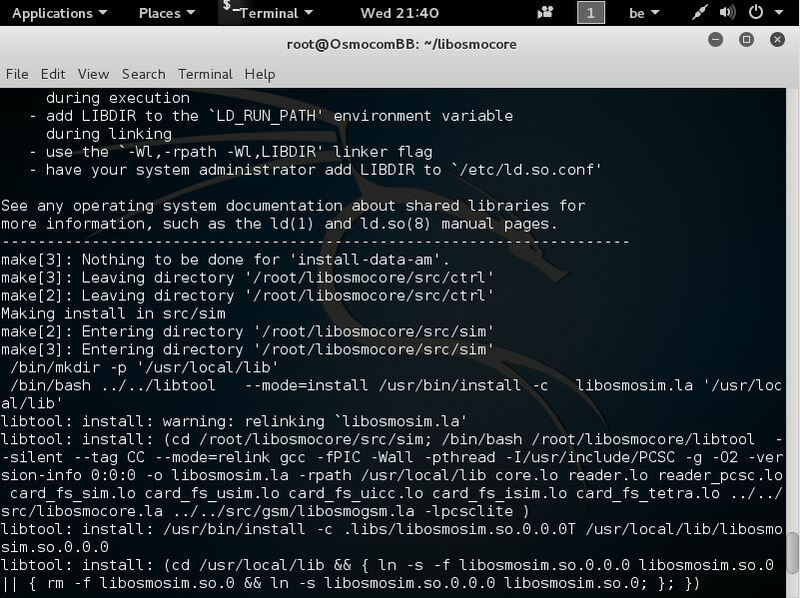 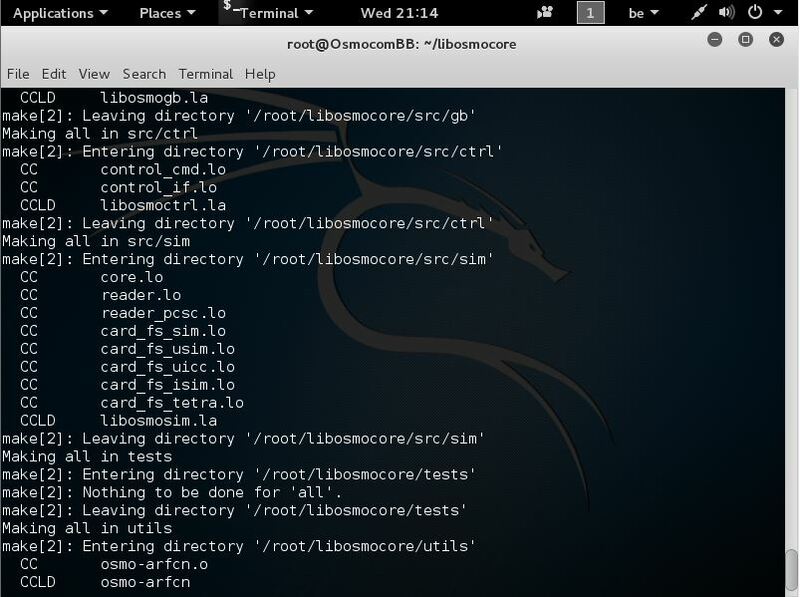 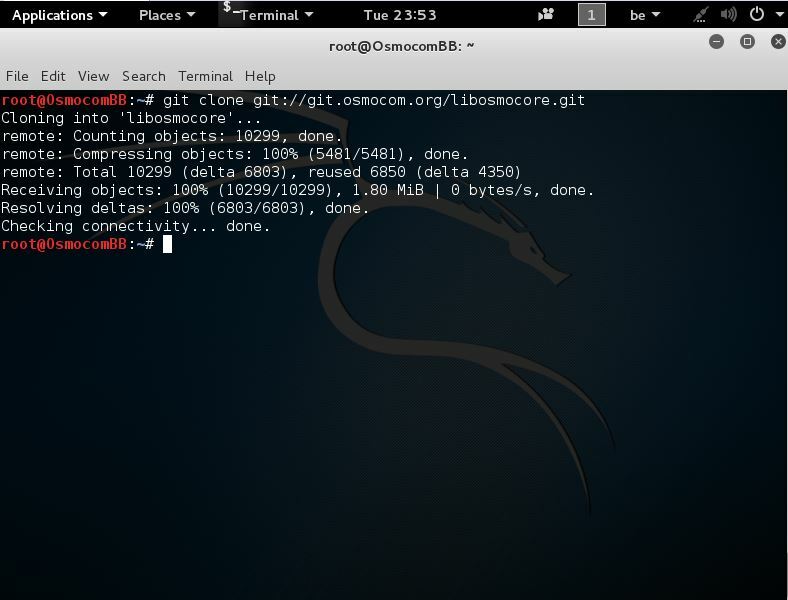 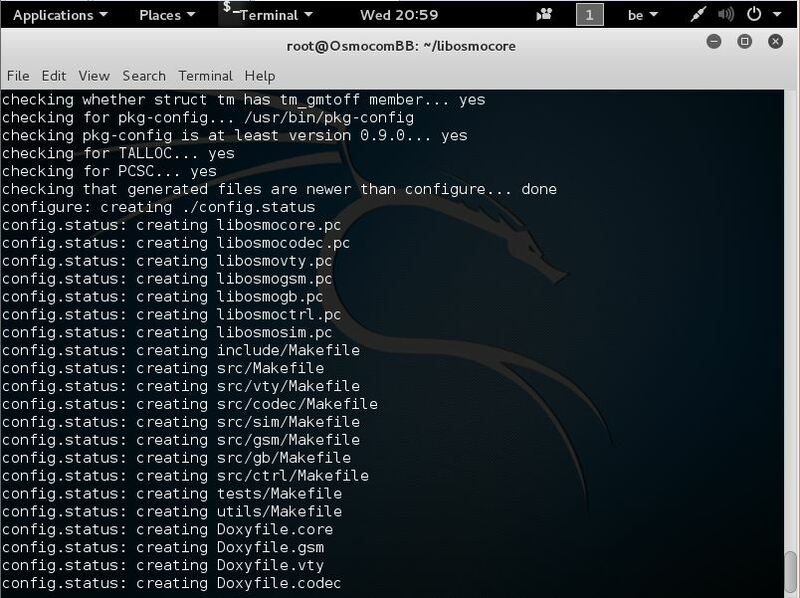 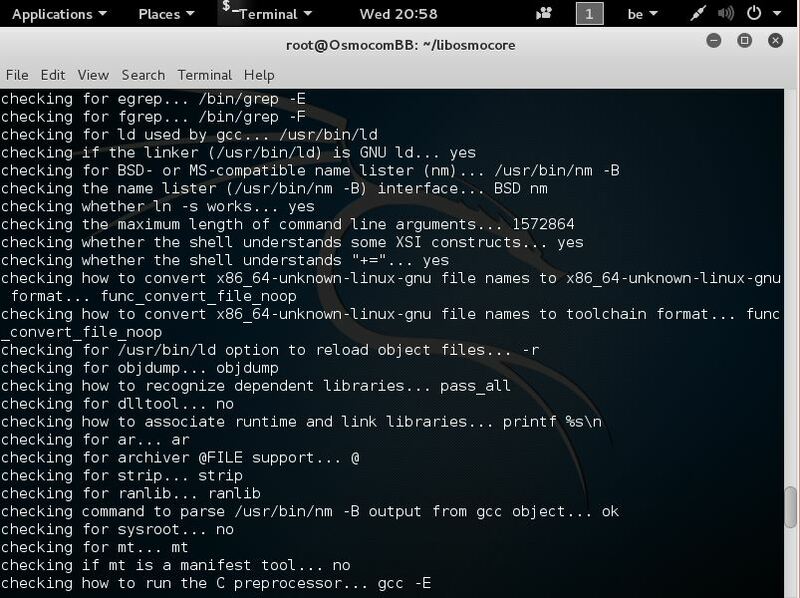 libosmocore is a library with various utility functions that were originally developed as part of the OpenBSC project, but which are of a more generic nature and thus useful to (at least) other programs that we develop in the sphere of Free Software / Open Source mobile communications. 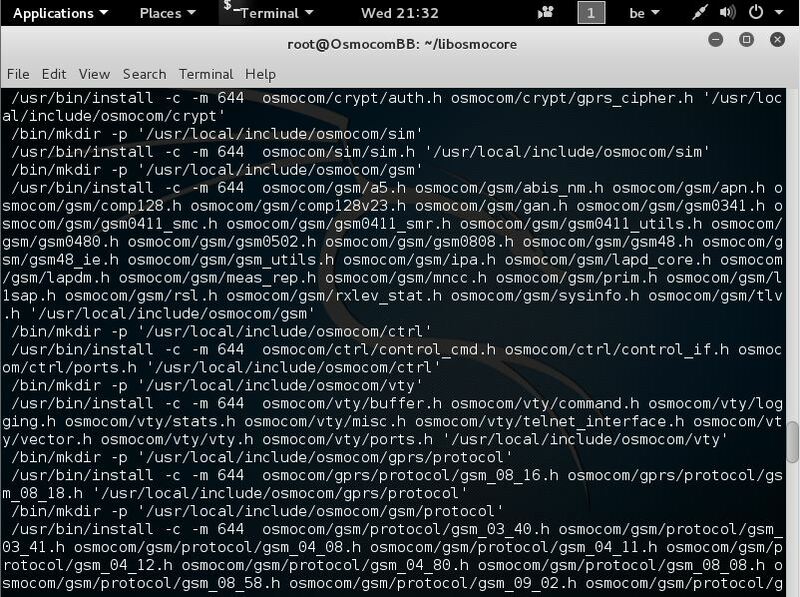 There is no clear scope of it. 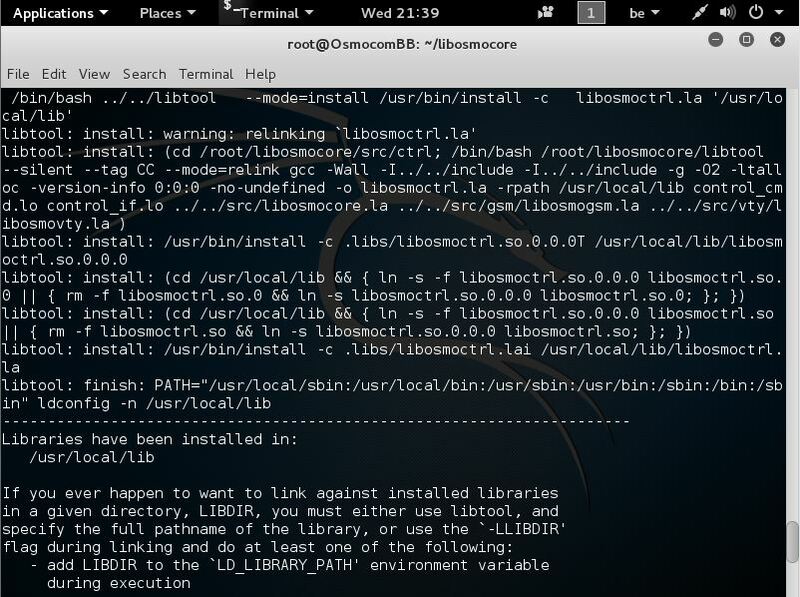 We simply move all shared code between OsmocomBB and OpenBSC in this library to avoid code duplication. 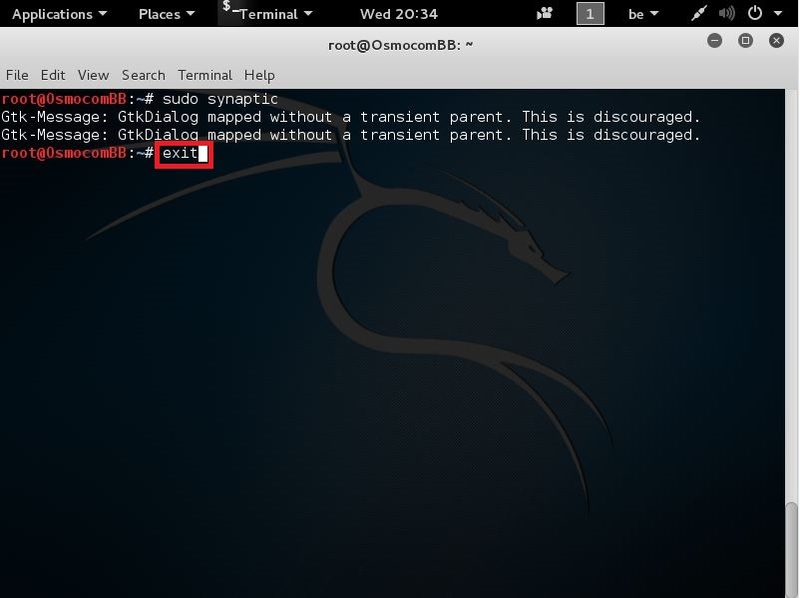 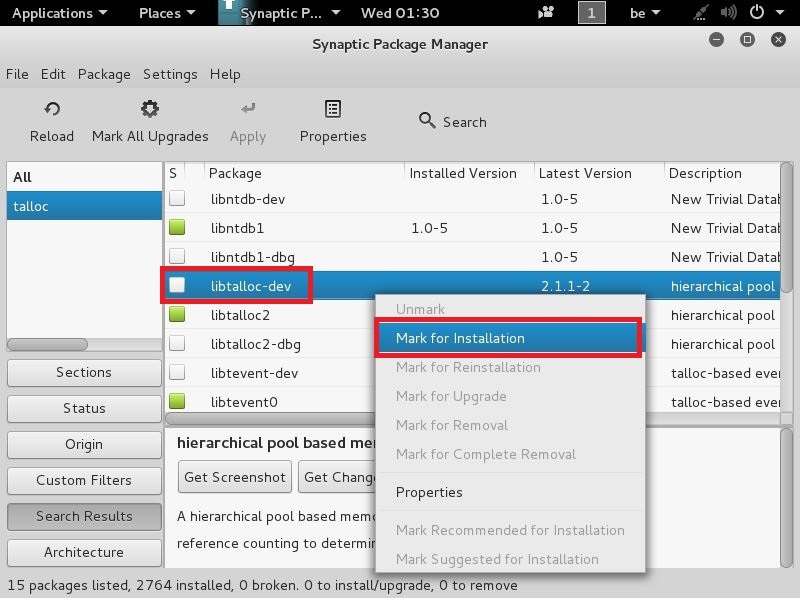 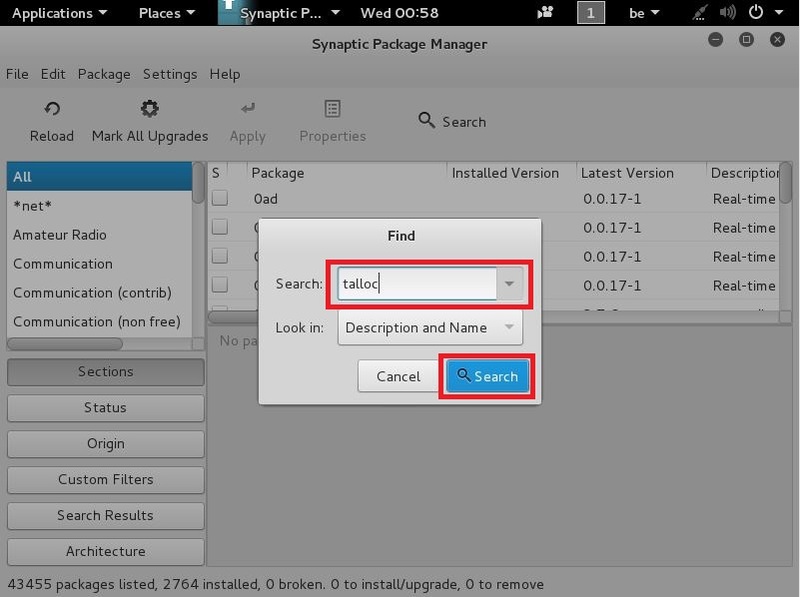 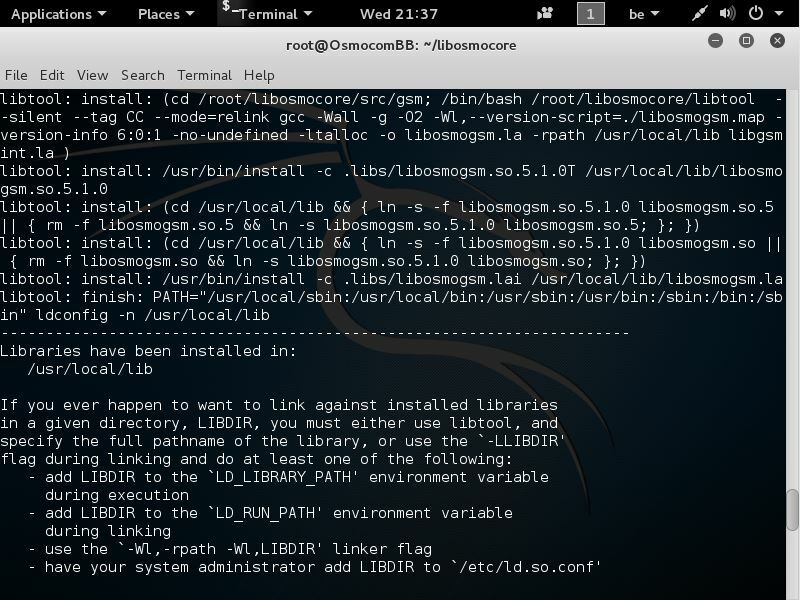 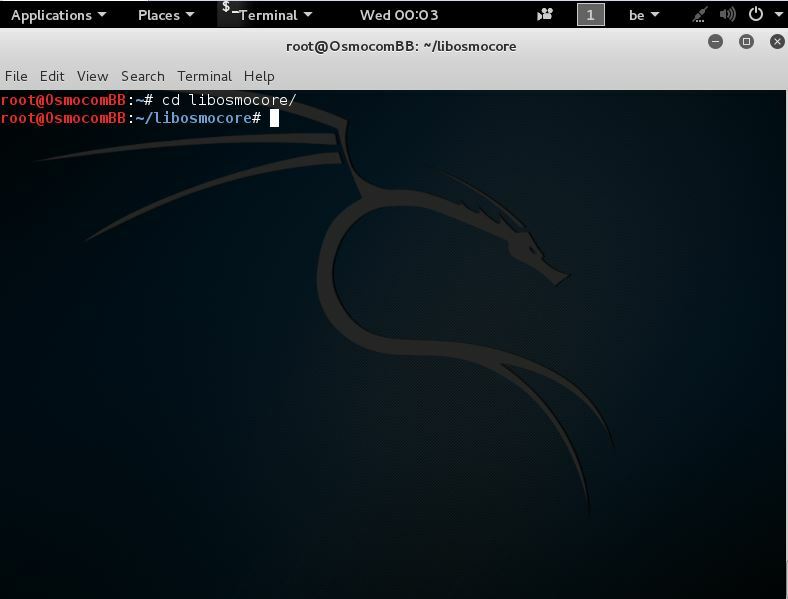 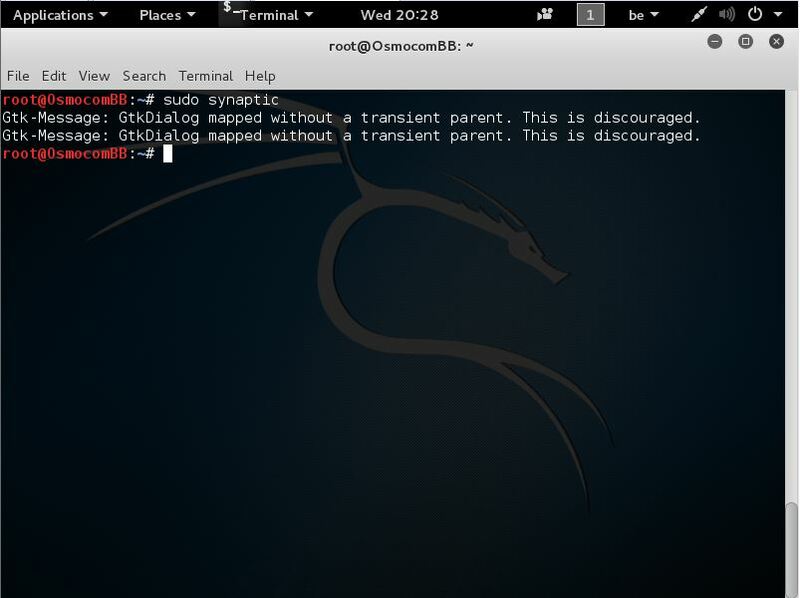 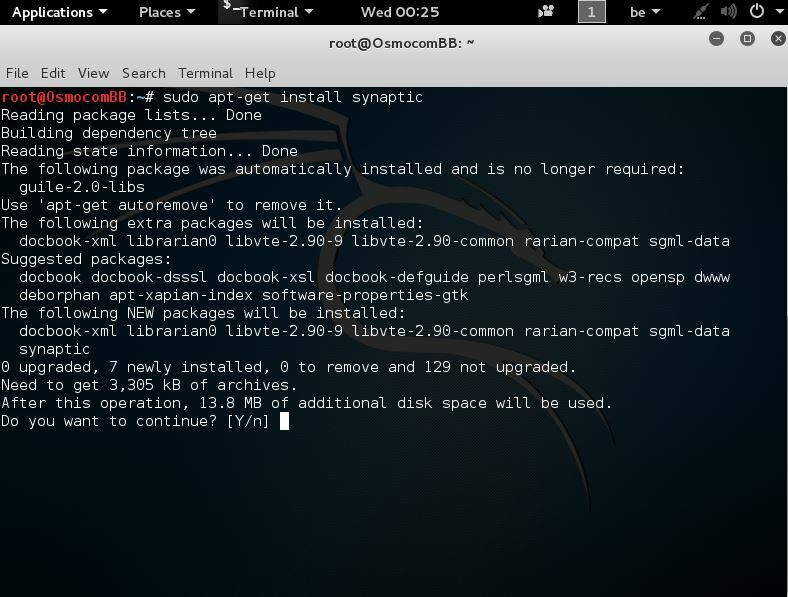 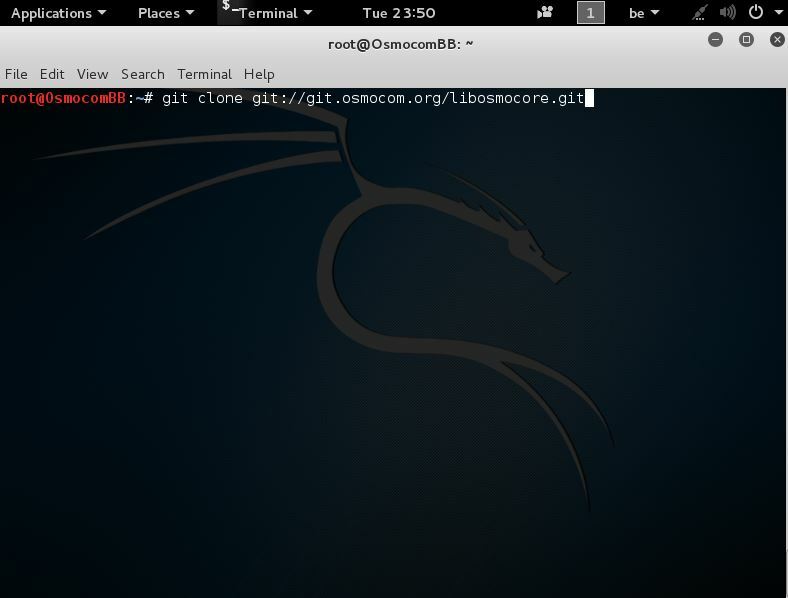 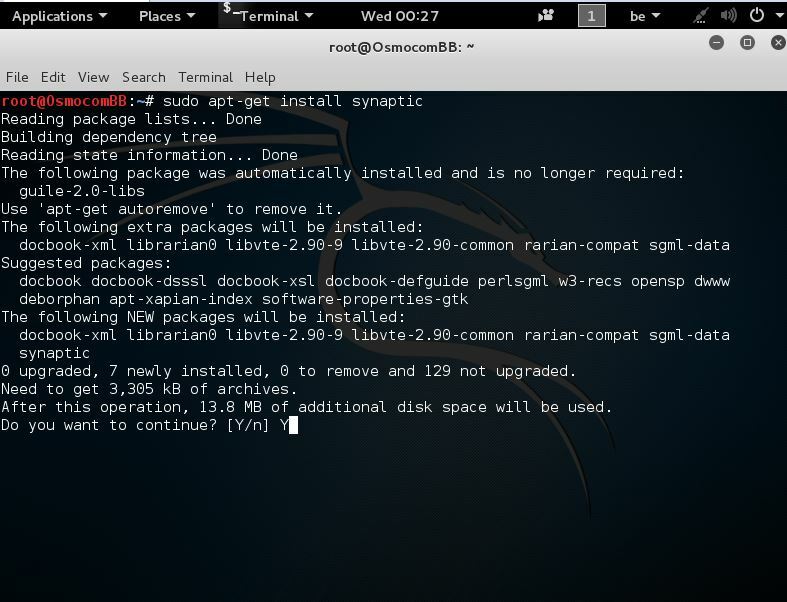 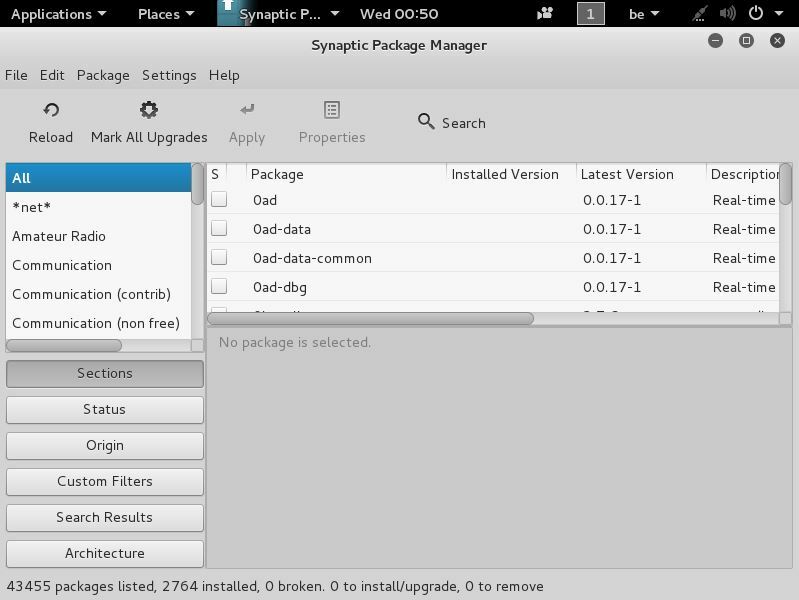 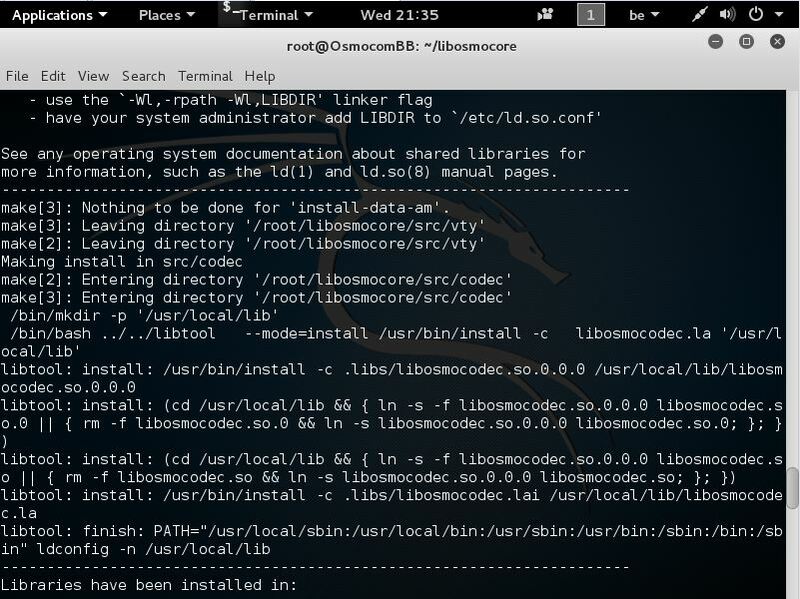 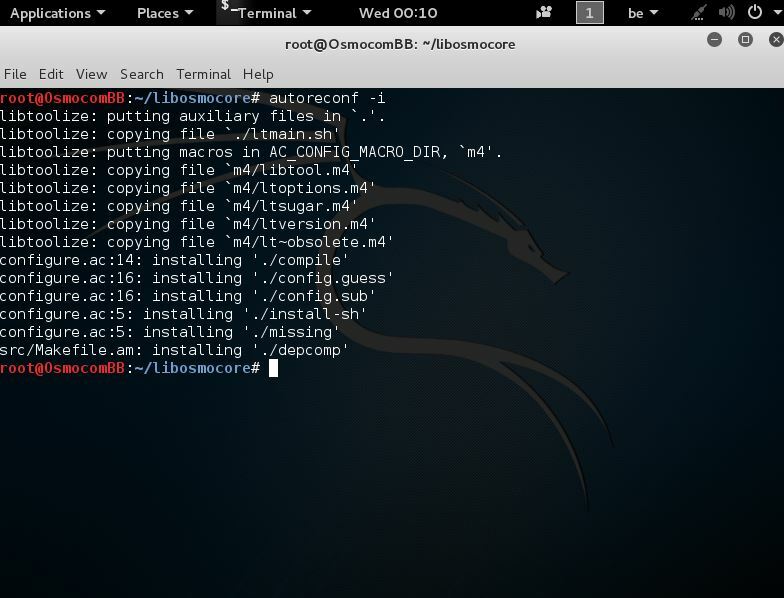 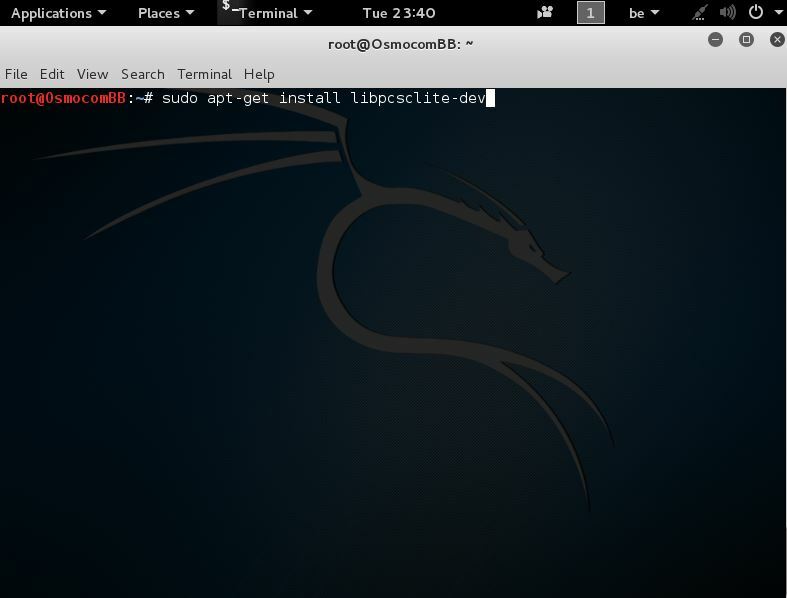 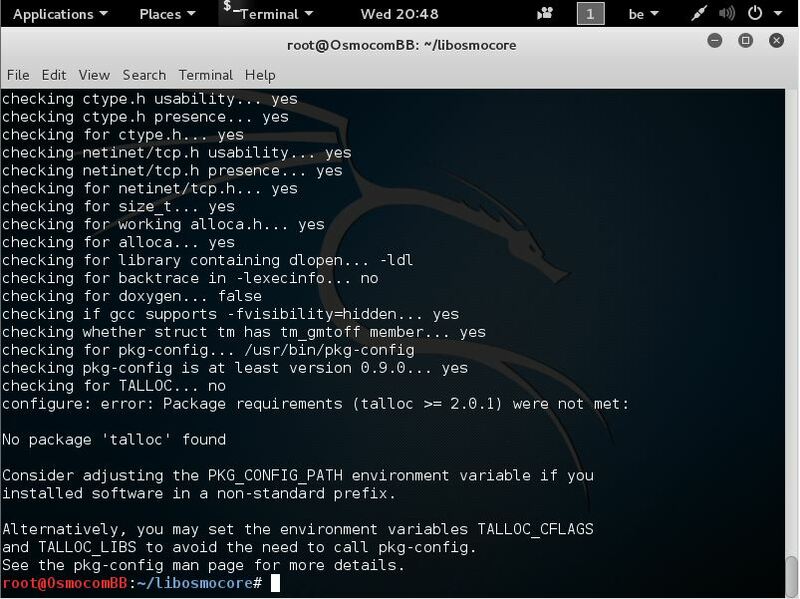 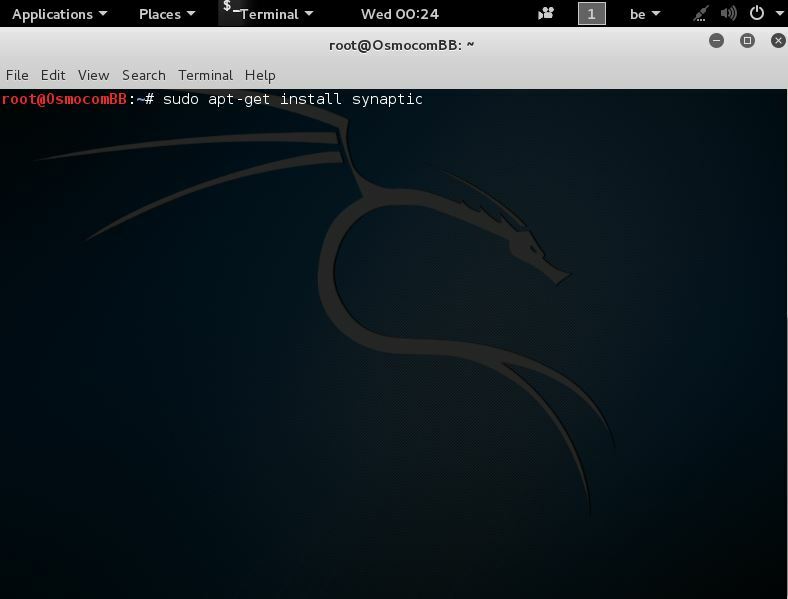 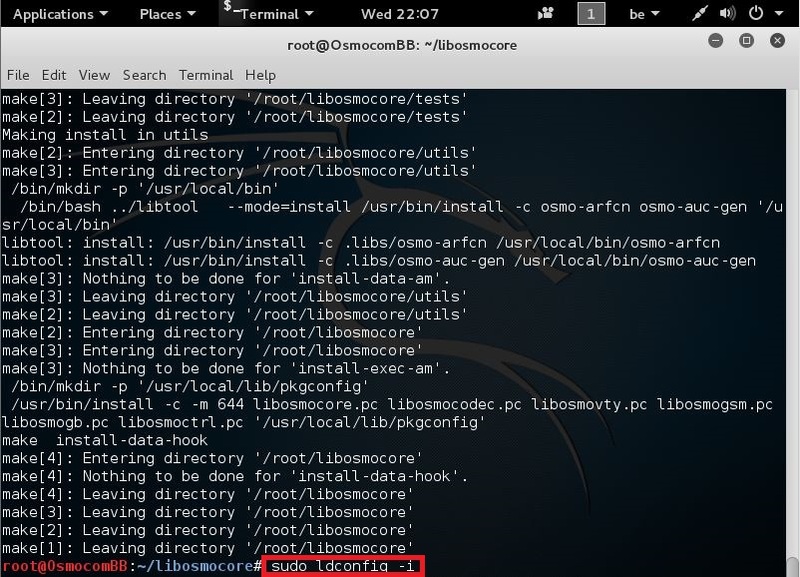 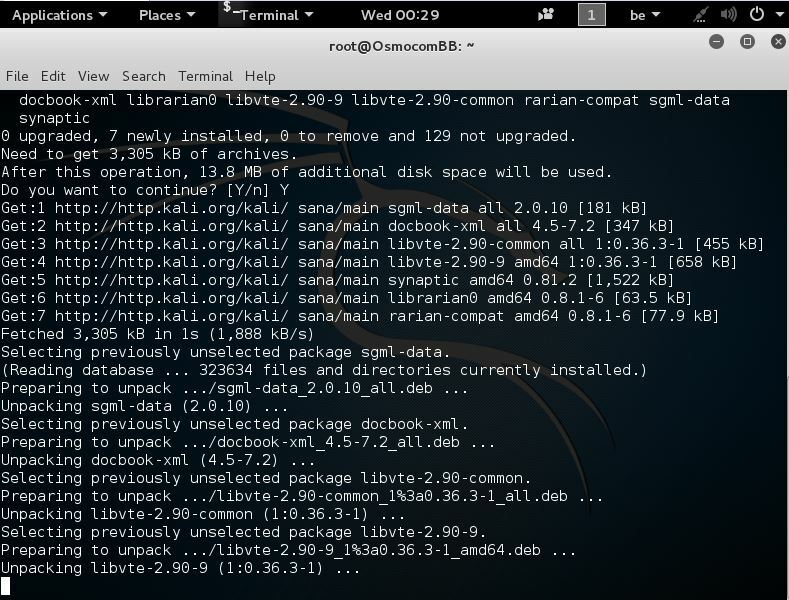 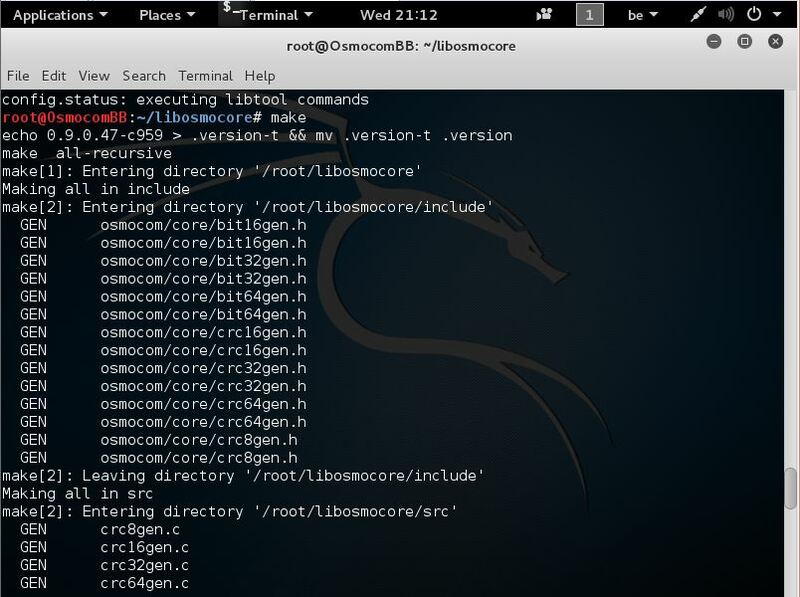 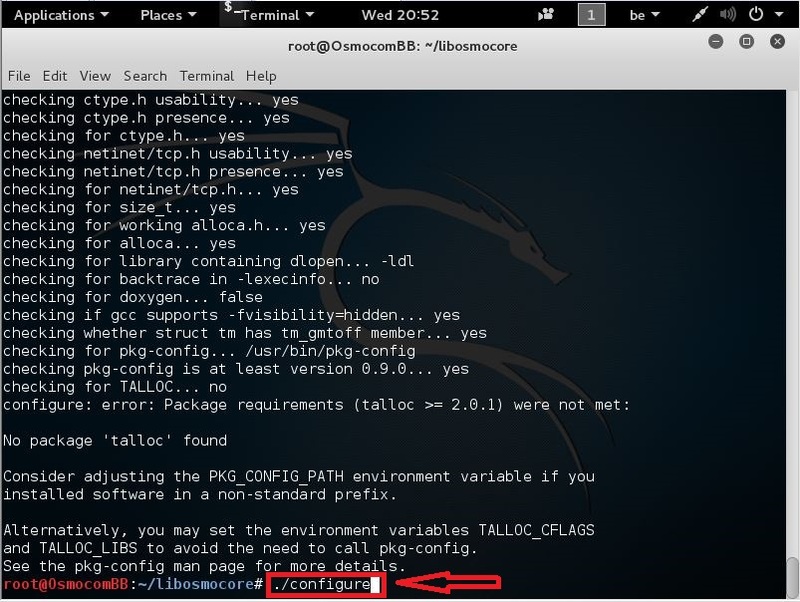 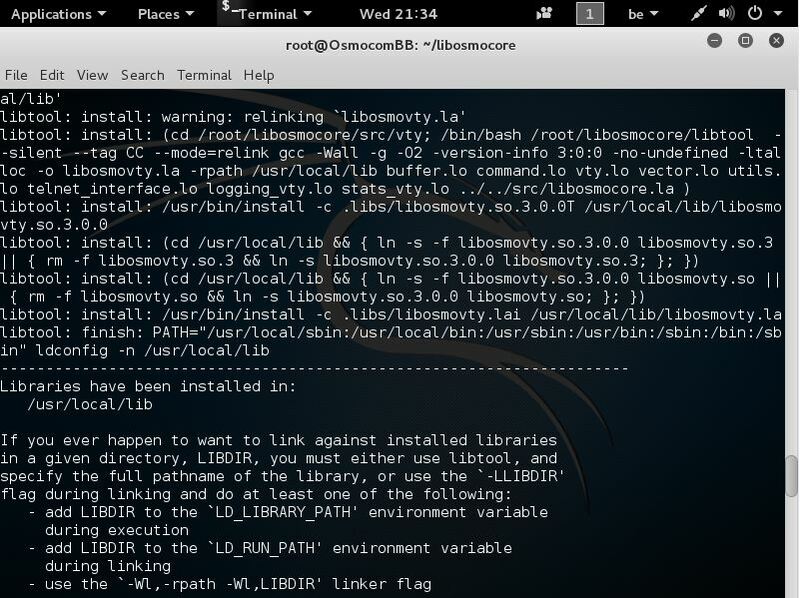 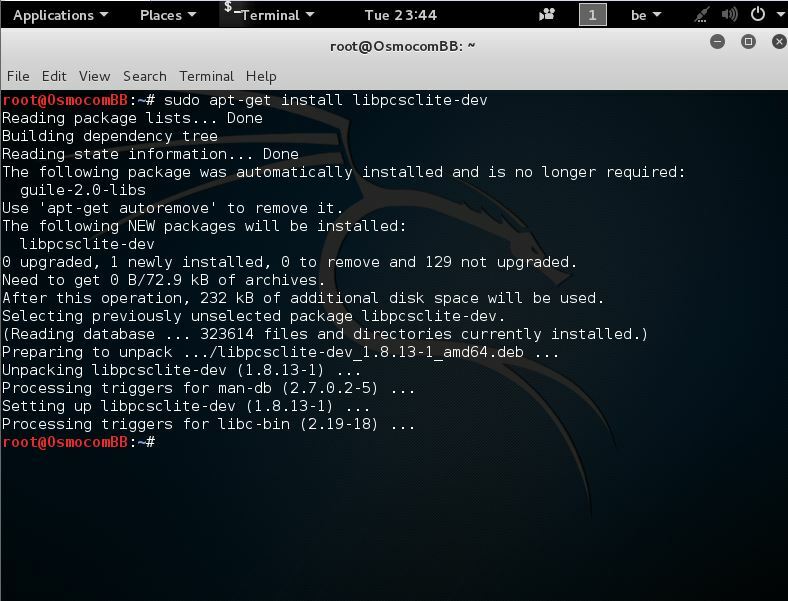 To build osmocom-bb it is mandatory to install libosmocom in advance. 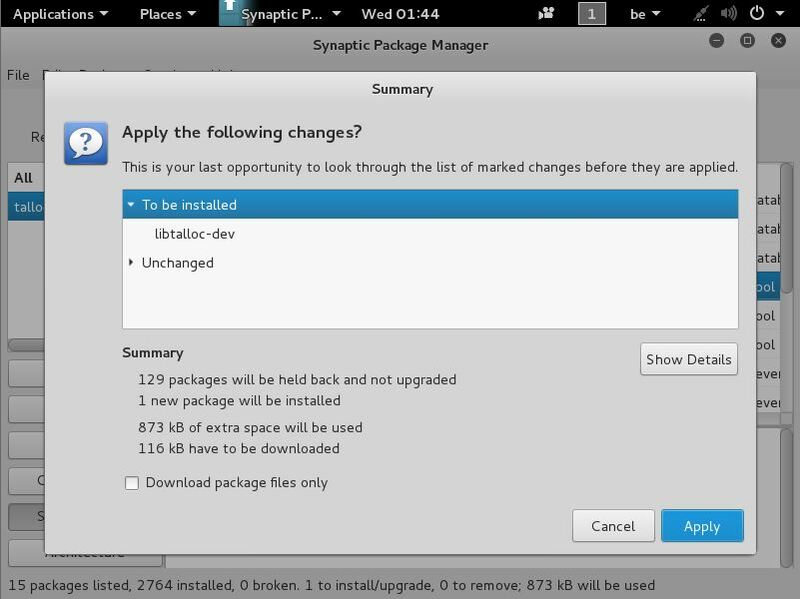 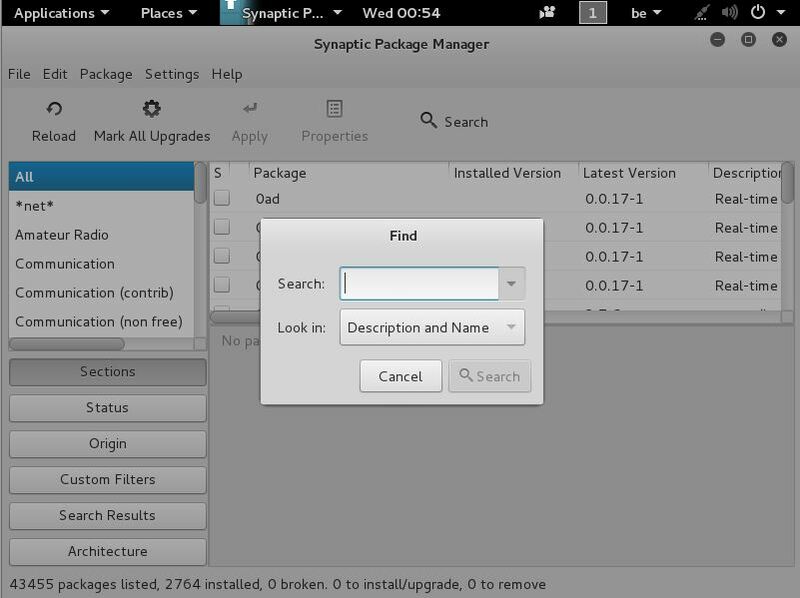 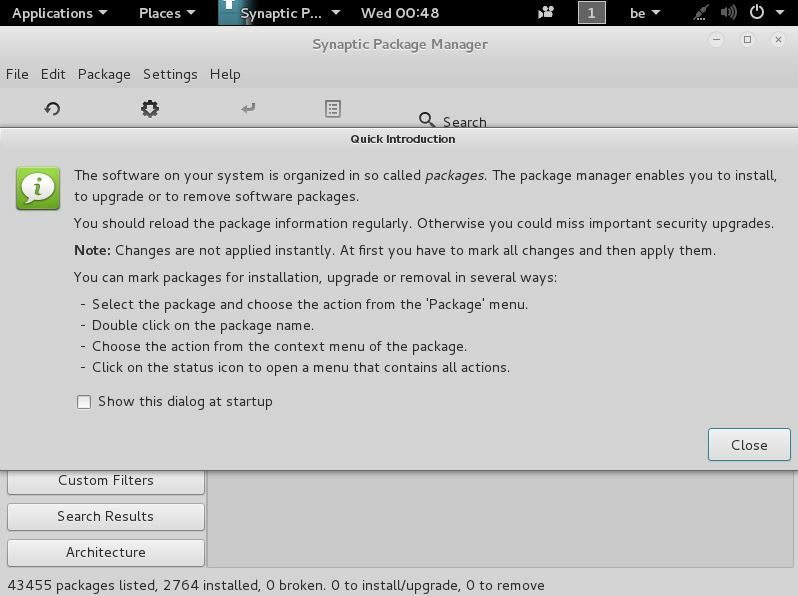 Cause i already followed the Getting Started Guide it’s already installed here. 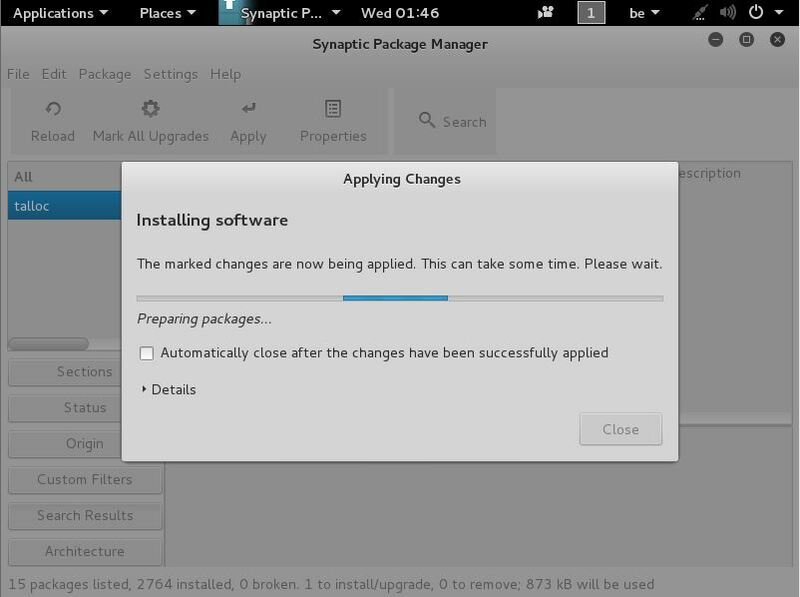 Otherwise type Y and press Enter again. 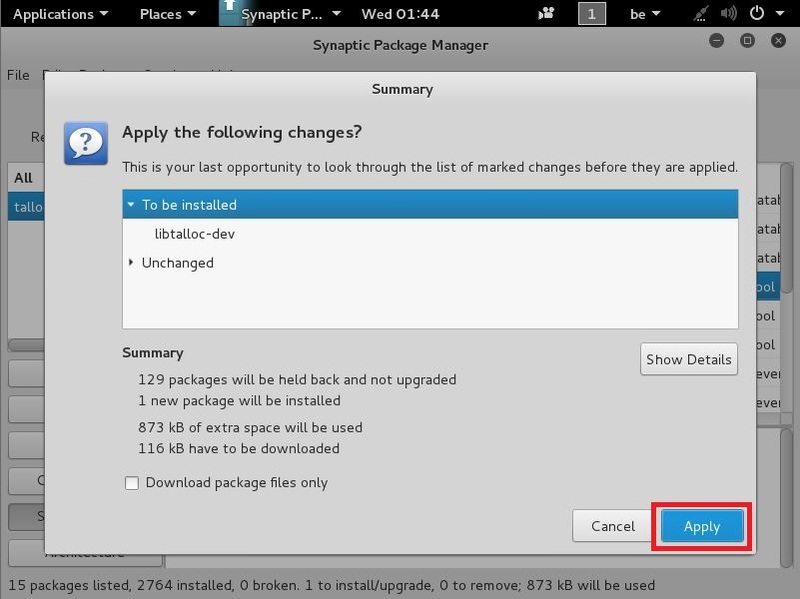 now that u clicked close u should see this. 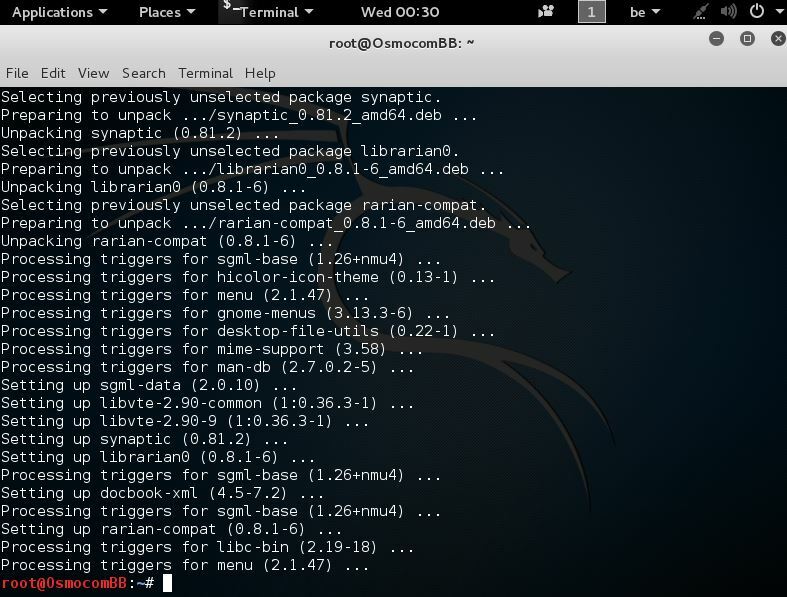 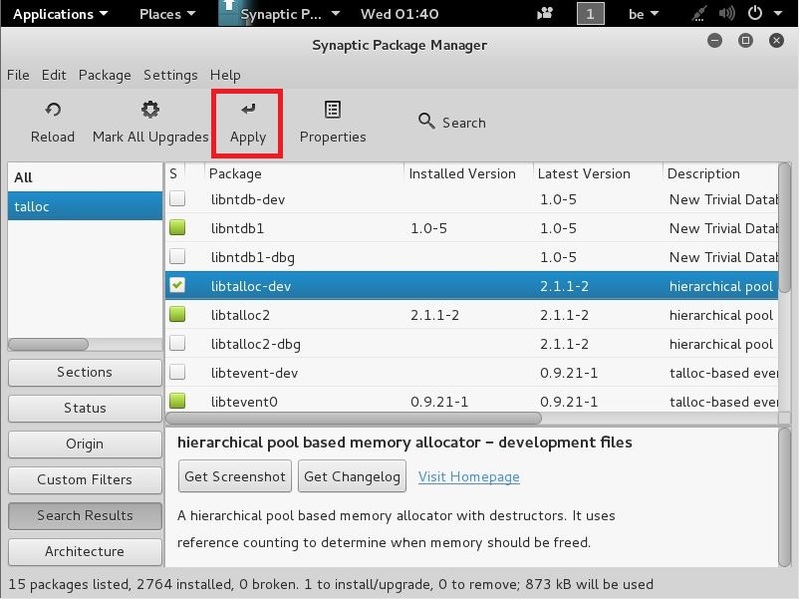 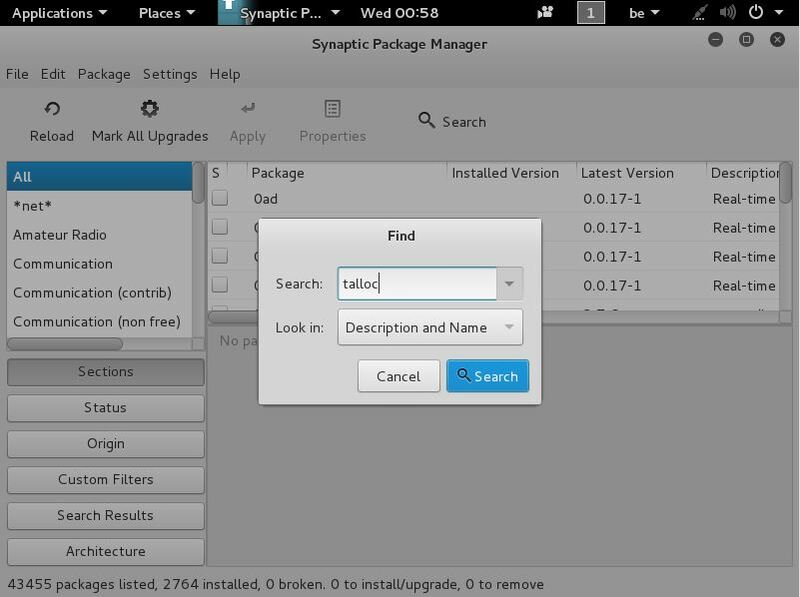 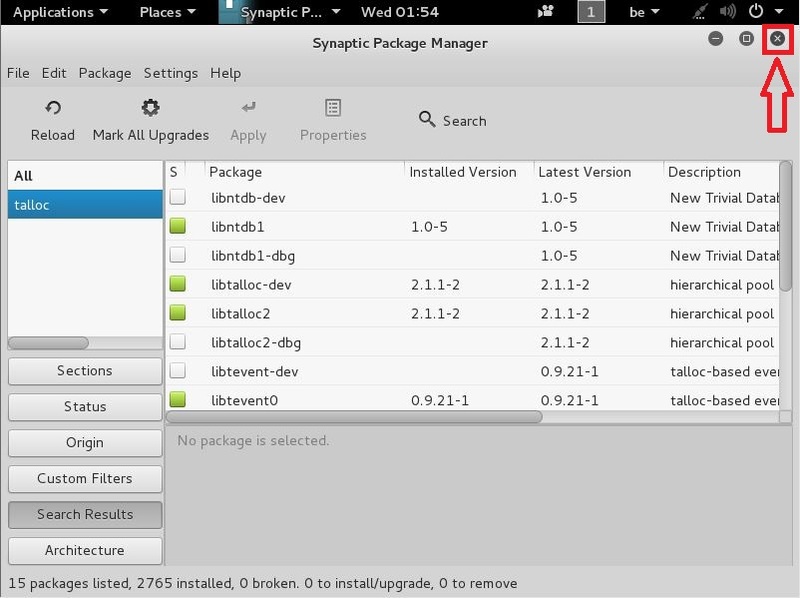 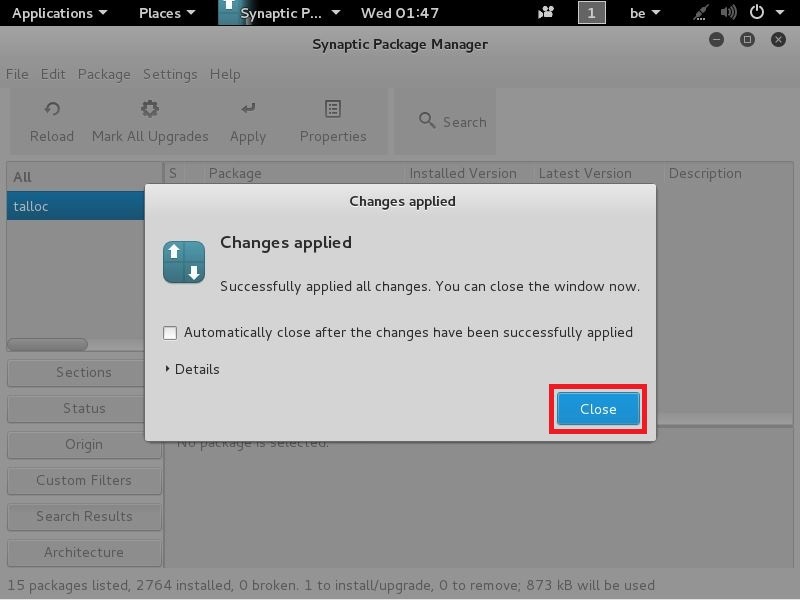 You should now come back to this terminal window if u let it open at least. 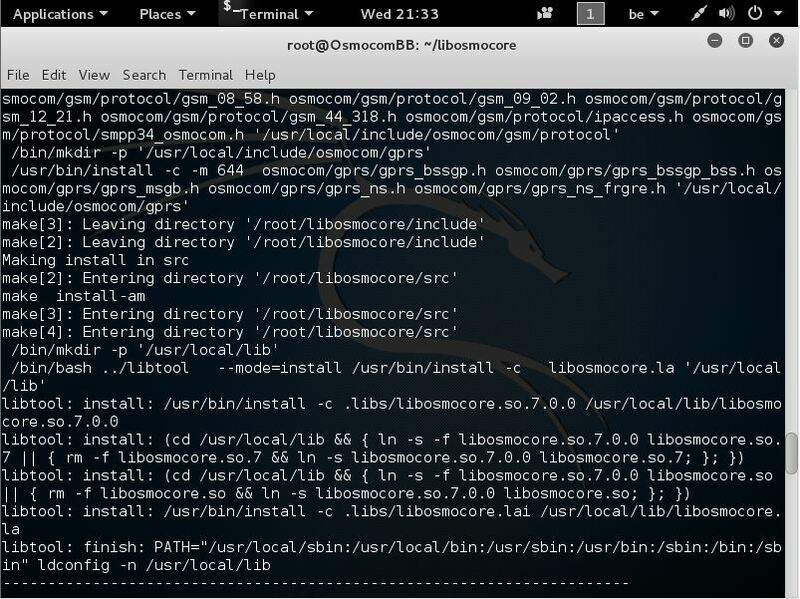 This library is GPL licensed, as the code is taken from the similarly GPL-licensed OpenBSC codebase. 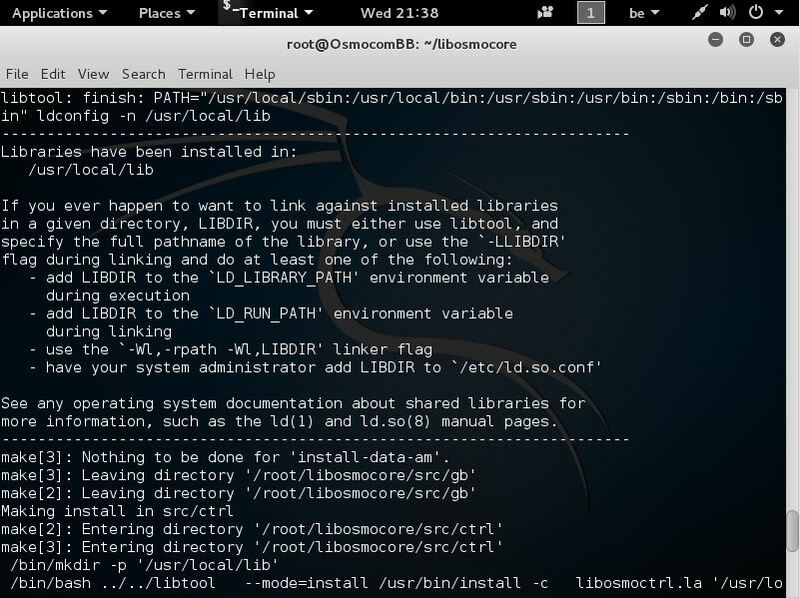 This means you cannot use this library from non-GPL licensed code without infringing copyright!